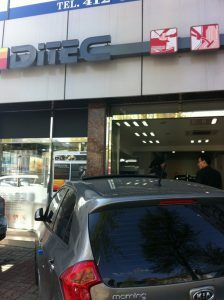 We welcome South Korea to Ditec International car preservation Systems. Asia is a growing market for car care and car preservation. More and more customers realize how much Ditec gives back that new car feeling and added value of paint protection to their vehicle whether it is a used car or a new car. So contact your nearest Ditec center today for the protection your vehicle needs.